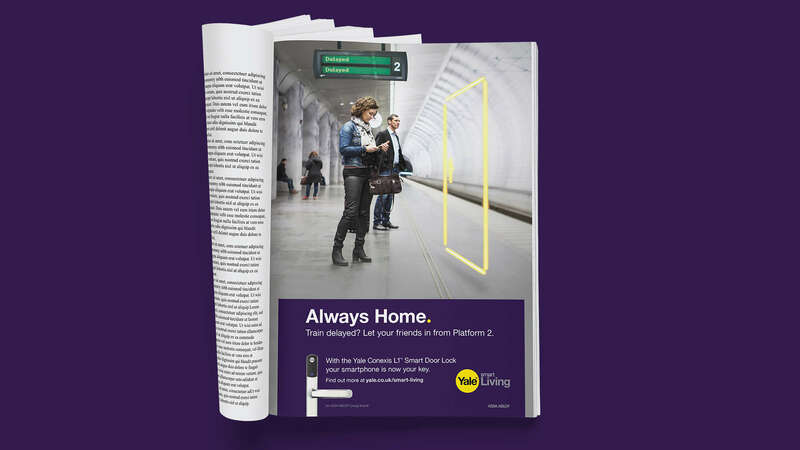 We worked with Yale, the UK’s most trusted lock and security company, to create a launch campaign campaign for their latest product innovation, the Conexis L1 smart door Lock. A product which does away with traditional keys, putting consumers in control of their home security via a smartphone app. Although Yale is a trusted brand with a deep history and market penetration second to none across the UK, customer perception of the brand was staid and uninspiring, with almost no credibility in the consumer space for smart technology or innovation. 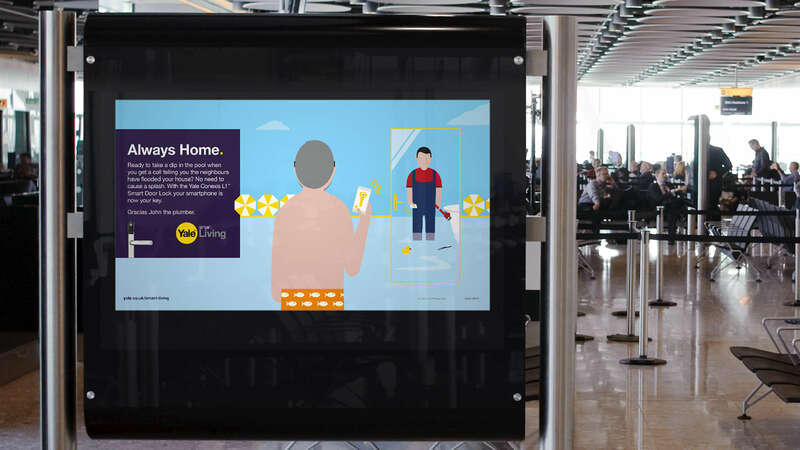 How then, could The Fold reinvigorate the brand and encourage customers to place their trust in a new service that completely changes how customers secure their most precious assets – their home and family? 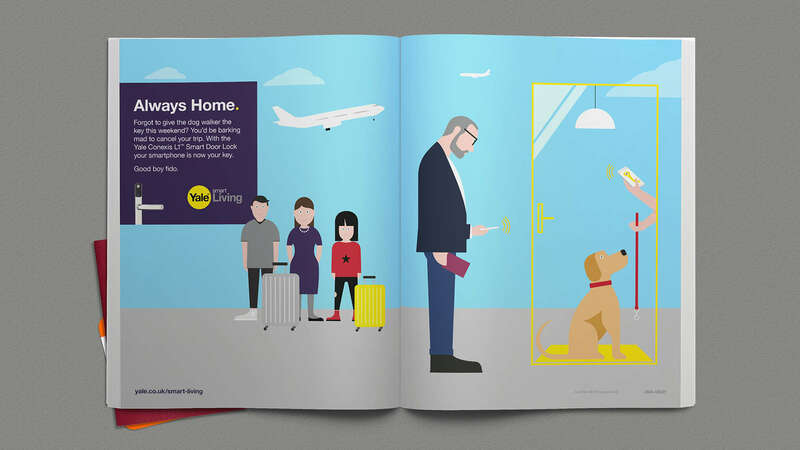 As Yale are already firmly entrenched in home and family life – most UK customers are familiar with the brand and will have used a Yale lock at some point in their lives – we decided to build the campaign around the home and family, explaining how the innovative new service can impact and improve customers’ lives. We came up with 'Always Home' to clearly express the benefit of being able to safely control front door access from anywhere in the world. 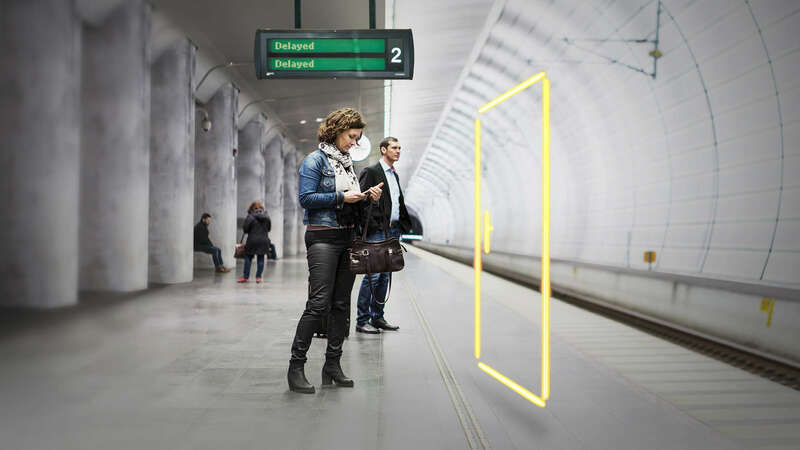 The Fold developed a distinctive neon yellow portal that heroes in scenarios where homeowners would clearly benefit from remote access control. 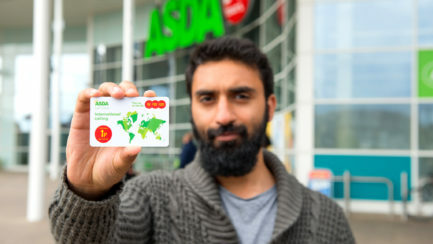 Dialling up the power of the smartphone app in supporting our customer’s lives. Developing both photographic and illustrative strands to give the campaign flexibility. We developed a campaign specifically targeted at holiday makers. 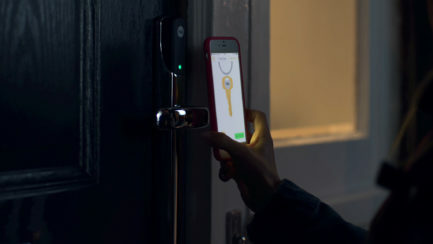 Posing a number of common scenarios to homeowners where the ability to send and receive virtual keys via the secure APP would be invaluable. Yale were given a flexible two tier launch campaign that allowed them to talk to conventional audiences with the photographic visual language and to have a truly impactful visual presence with the illustration for their social media. 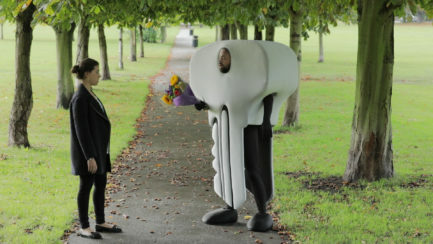 Views of the campaign film online. Most viewed film on the Yale UK facebook channel. Voted Security Product of the Year at the DIY Week Awards 2018.